21st Century Fox (NASDAQ:FOX) looks like a loser today, but as Bob Dylan wrote many years ago, the loser now is later to win. Comcast’s (NASDAQ:CMCSA) victory over Fox in the battle for Sky (OTCMKTS:SKYYY) will cost it $39 billion, and the company hopes to complete that deal in October. This is compounded by the fact Disney owns 39% of Sky through Fox stock, making it harder for Comcast to win a majority vote of Sky stockholders to approve the deal. Walt Disney (NYSE:DIS), meanwhile, bid $71.3 billion for the bulk of Fox’ programming assets (including nearly $14 billion in debt); the exceptions being Fox News and Fox Sports. Add in Sky (Fox owns roughly 40% of Sky, which is $15 billion), and the result values Fox, in cash and Disney stock, at about $86 billion, minus the debt Disney inherited from Fox. What’s left of Fox isn’t much. There are the Fox News talk shows and the two Fox Sports channels, which also include talk shows. Fox shareholders will own one-quarter of Disney, and if any company in the media business has figured out the new streaming era, it’s Disney. Their ESPN+ streaming service costs $5 per month now, but it won’t stay there because ESPN is already getting $9 per subscriber from cable networks, whether subscribers watch sports or not. Then there’s Disney Play, a streaming service based on Disney assets due to launch next year. It will be backed by both the Disney and Fox libraries, with new programs based on projects from Disney’s Marvel, “Star Wars,” and Pixar units. Initially, this will be priced competitively with Netflix’ $8-$14 per month, which now draws nearly 135 million subscribers. At $9 per month, Disney would need 32 million subscribers to break even on Disney Play. Disney is hoping that growth in streaming will bridge its continuing loss of cable subscribers, now falling by about 3-3.5 million per year. It looks do-able. Fox needs to simply hold its Disney stock through its own executive transition, with Lachlan Murdoch replacing his father Rupert before Rupert turns into Sumner Redstone, who is now 95 and infirm. For the next few years, Fox is Disney, which is not a bad thing to be. There’s one asset unaccounted for, the Fox Sports regional networks, which Disney has agreed to sell. Who might buy them? Well, Comcast is tapped out, and CBS (NYSE:CBS) is worth just $21.3 billion, probably less than the sports nets. Other cable owners, like Verizon Communications (NYSE:VZ), AT&T (NYSE:T) and Charter Communications (NASDAQ:CHTR), are also capital constrained. One company has the cash to outbid anyone on the board, and their name is already above the title — Fox. Unless streamers Amazon.com (NASDAQ:AMZN) or Alphabet (NASDAQ:GOOGL) enter the fray. Fox could bid with Disney stock, but even if they lose you still have the winner’s cash in the Disney vault, to which Fox holds the key. The move to streaming is inevitable. People are tired of paying for things they don’t watch. Comcast and AT&T think they can tie their delivery assets to programming and force people to keep paying whatever they want to charge. That is a terrible bet. The reality Netflix has revealed is that programming is becoming untethered from its delivery. Anything can go on the internet. Amazon, Google and even Facebook (NASDAQ:FB) represent more powerful delivery models than the last-mile assets of the cable giants. When the market awakes to that fact, what company is going to have the cash and knowledge to take advantage? Fox. Which is already selling at a discount to the assets it holds. 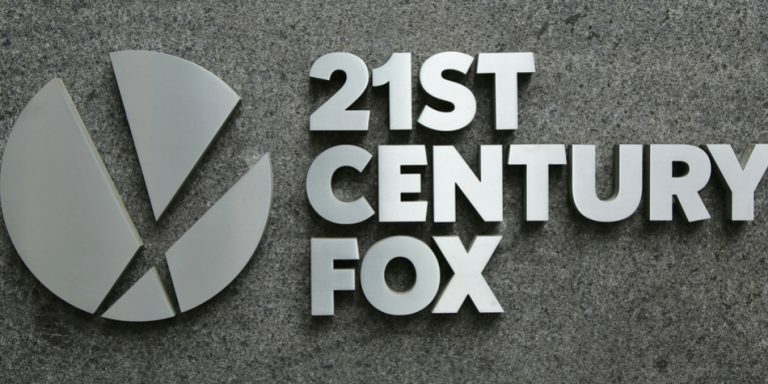 Article printed from InvestorPlace Media, https://investorplace.com/2018/09/21st-century-fox-will-come-out-on-top-of-this-tangled-media-web/.